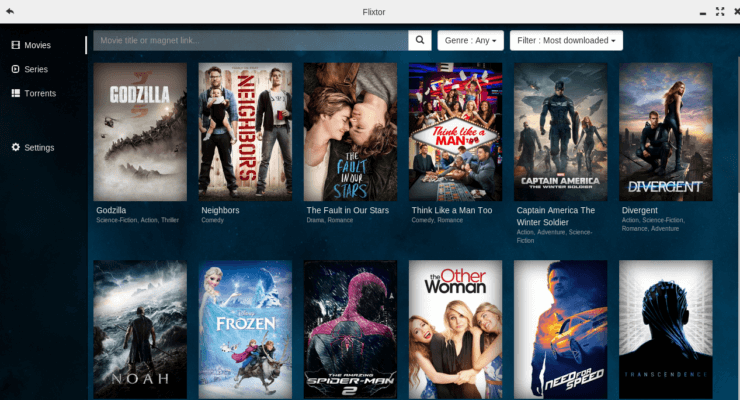 If you are a torrent fan, chances are that you might have heard about Popcorn Time (PT), a Torrent stream player that allows playing Movies and TV Shows for free over bittorrent P2P protocol. [Read: What is Usenet and why is it better than Torrents?]. 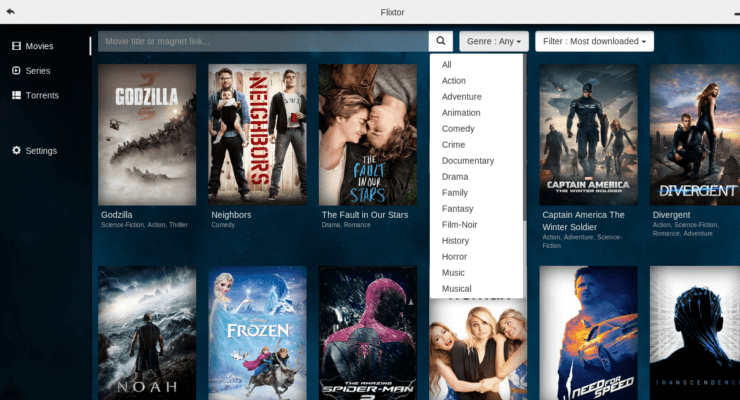 While the application has become really popular off late, there is another similar app that’s giving it a run for its money — Flixtor. No, Flixtor is not any of the PT’s forks (like Time4Popcorn), that came into existence after the original app was abruptly taken down by its original developers reportedly due to legal threats from content owners. Rather, it’s a Popcorn Time alternative which is also capable of streaming movies, series, videos and animes from Torrents. Although the open source application offers functionality similar to PT, it also sports number of cool new features. But as the case with PT, it bowed down to legal threats after an investigator from the MPAA's Motion Picture Association Canada came knocking, forcing Flixtor developers to shut down the application as well as the torrent search engine TorrentLookup.com. That happened on the 15th of June this year. Call it the power of the Internet, the application came back online earlier this month, with someone from the Flixtor team taking to Reddit to make the announcement. As of now, Flixtor is available as a desktop application, but developers are promising a new android app soon. We downloaded the application on Linux (Ubuntu 14.04). The package, which came as an archive, contains the Flixtor executable, which you can run straight away. If you’ve ever used PT, you’ll be amazed to see how similar Flixtor looks. Before watching a movie or a TV show, you can also check out its trailer. Ironically, the app also features a Buy button, in case you’re interested in purchasing the movie. Aside from providing streaming support for TV shows and movies, the app also allows you to search and play Torrents directly. You can select any genre, and filter the results based on options like Most downloaded, Date, Year, Rating, and Alphabetic. While Popcorn Time provides a lot of settings, this Popcorn Time alternative only lets you choose language (Supports 3 different languages – English, Dutch and German), Connection limit, DHT, Streaming port, Data directory, and whether to clear data on close. Overall, I think the team behind Flixtor has done a good job. I really liked the ability to play content with the VLC player, which means that the app should be able to play anything you throw at it. As for Flixtor vs Popcorn Time, I’d say the competition is ON. But all good things must come to an end and this will too due to pressure from you know who. Until then enjoy torrent streaming through Flixtor. Himanshu Arora is a freelance technical writer by profession but a software programmer and Linux researcher at heart. He covers software tutorials, reviews, tips/tricks, and more. Some of his articles have been featured on IBM developerworks, ComputerWorld, and in Linux Journal.